Does it ever seem to you that God shows up late sometimes? Surely you’ve had it happen to you. In spite of persistent prayer and patient waiting (OK, almost patient), God did not intervene in a timely manner. Applications for grad school were turned down—three years in a row. Finally, the fourth year, acceptance was granted. Why? The job you needed ASAP didn’t materialize for two years. Why? The bracelet that had been your grandmother’s suddenly disappeared. Heartsick, you searched and searched. No bracelet. Suddenly, months later, there it was–caught in a sweater you hadn’t worn in ages. Why? I know this sounds impertinent, but in all of these cases and many more, it would appear God was not paying attention. …Could it be God operates in a different time frame, one not governed by days, months, or years? After all, God is eternally the same, always was and always will be. Time is rather inconsequential to him. He lives in a dimension where past, present, and future are not separated. “From one man [God] made every nation of men, that they should inhabit the whole earth; and he determined the times set for them and the exact places where they should live” (Acts 17:26). In his speech, Paul was referring to the appropriate times certain people-groups would rise to power, such as the Egyptians, Assyrians, Greeks, and Romans. 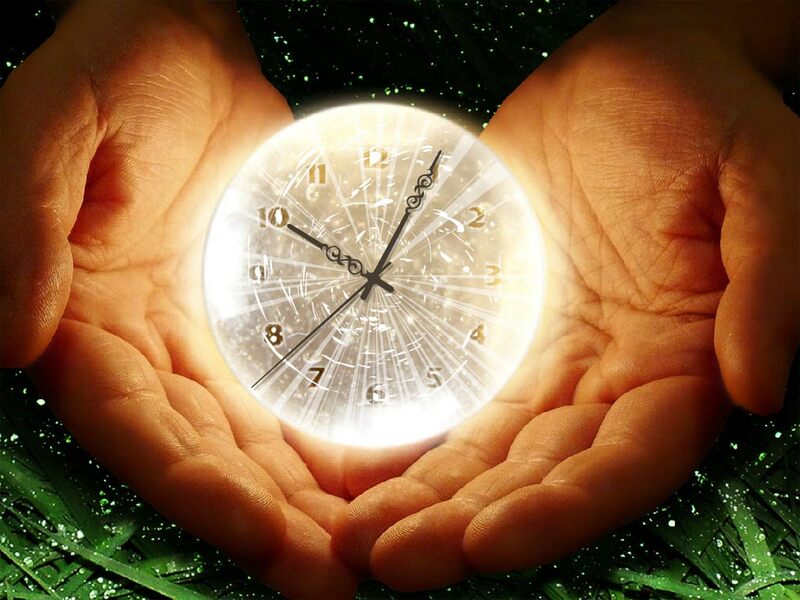 The Greeks had a second word for time: chronos. This is the kind of time we measure with clocks and calendars. This is our comfort zone–the kind of time we know and understand best. Perhaps that’s why we anticipate God should operate within chronos. But kairos is God’s time, as in “I choose the appointed time, it is I who judge uprightly” (Psalm 75:2). And what would be the foundation of God’s choice of kairos? “Righteousness and justice are the foundation of your throne” (Psalm 89:15). Everything God does is right, including when he does it. “Oh, the depth of the riches of the wisdom and knowledge of God! How unsearchable his judgments, and his paths beyond tracing out” (Romans 11:33)! That would include the timing of events, too. “God showed how much he loved us by sending his one and only Son into the world so that we might have eternal life through him” (1 John 4:9, NLT). Would a God who loves like that fail to pay attention, and mess up the timing of his involvement? At just the right time, the door opened for grad school. At just the right time, that job was provided. At just the right time, the keepsake bracelet was found. By not asking why we had to wait, perhaps we demonstrate a modicum of maturity. God’s ways are not man’s ways. Thanks for saying that so well. You are so right: God’s ways are NOT man’s ways. His are so much better, right? Perhaps the day will come when I can totally accept and REST in whatever he has ordained for me! A great lesson on perfect timing – not ours but God’s. I loved this. Patience isn’t my strong suit; but this explains so very much. Just as God’s will for my life isn’t necessarily my will, God’s timing may not coincide with the expectations of my requests. I love the way you explained the difference between the Greek words kairos and chronos. Great post, Nancy! Thank you, Cheri. This was a new concept for me; I didn’t know about chronos and kairos before I came across the two words in some reading. Hope I can hang onto the concept of kairos to boost my patience and faith. Lord, keep me mindful! You have an amazing way.. I just loved your post..It became something I was trying to teach myself. Wisdom in God. I am honored you found the post meaningful and helpful. God WILL bless you, BJS, as you seek to know him and his Word!